In Alec Longstreth's fantasy world, an injured amnesiac searching for his past is sheltered by a man hiding from his own. 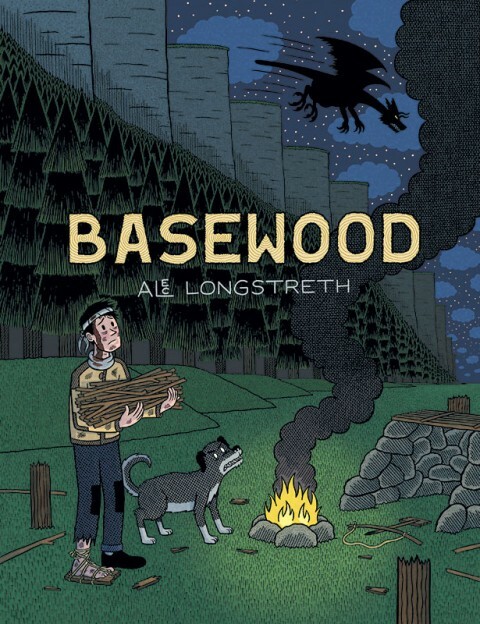 Alec Longstreth’s graphic novel Basewood gives equal weight to the backstories of two characters: a man who is lost and the hermit who finds him. 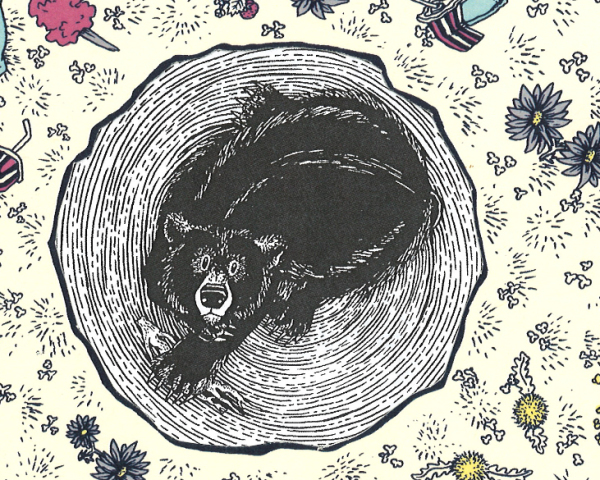 The stories of how they both ended up in this remote forest find many parallels, and their sequence in the narrative allows one to inform, and perhaps shape, the other. The wolf-dragon who lives in a cave above the forests of Basewood is a fierce, hissing menace. 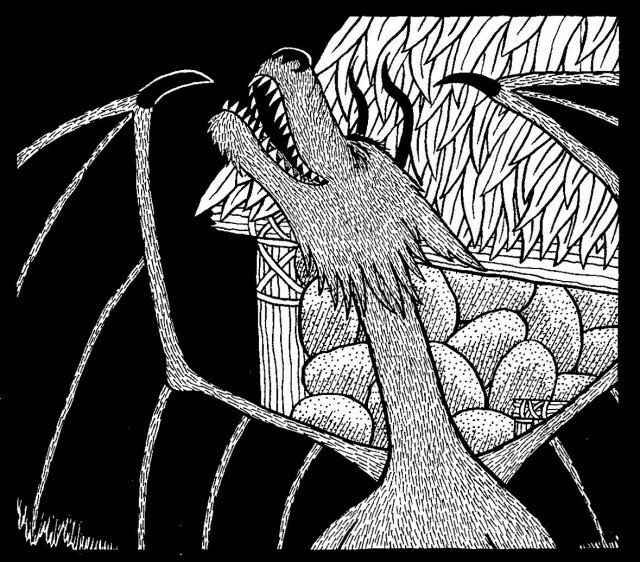 Any time you try to venture beyond your boundaries, whether to construct a house for your family or test out your new flying machine, the wolf-dragon arrives to offer an alternative. 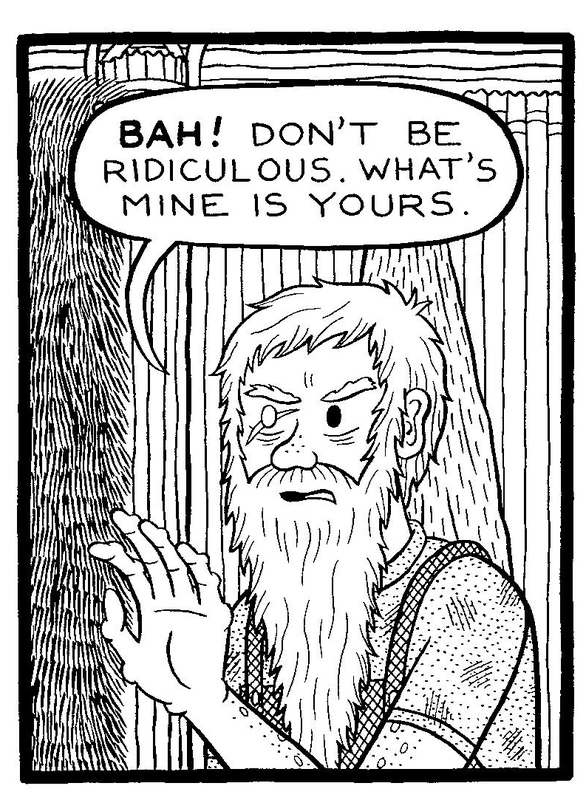 Argus is a bearded man living in the woods who had been forging a story for himself about independence and a future for his family until the wolf-dragon destroyed his home and murdered everyone he loved. Since the night he lost everything, Argus has stayed put, alone in the woods. Even when offered an opportunity to move away and start a new life, he maintains: “my place is here.” Although he is happy to shoot an arrow into the wolf-dragon now and then, he does not plot revenge. He just survives, day by day, living with his dog in an impressive treehouse. The story that he chooses to tell people (and himself) ends on that one tragic night. 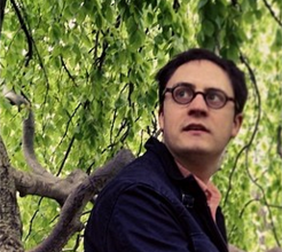 Then he meets a man – the book’s protagonist – who has lost his memory. The man has a head wound; he knows neither his own name, nor know how he got there (the circumstances surrounding his birth, we later learn, are also mysterious). Argus takes him in and cares for him. The man asks about Argus, telling him, “Maybe the details of your story will help me remember how I came to be here.” Here is a man similar to Argus in both appearance and talents, in search of a story. This is something Argus can provide. In a long series of silent panels, the two men bond. They cook for each other, tend the garden, fix the leaky roof. The man, haunted by nightmares, has been going for walks alone at night. Argus watches him and expresses deep empathy, perfectly mirroring his slumped shoulders and distraught expression. Argus meets up with him, assures him that his memory will soon return, and walks away. Then the wind delivers a clue, which leads to a series of discoveries that allows the man (Ben) to reclaim his identity. The story he eventually finds is remarkably similar to the one Argus has told, as if the act of bonding had transferred it. Ben’s life is just at the point Argus’ was before the wolf-dragon, his desires the same. Argus is genuinely hopeful and happy for Ben, who begins living fully in Argus’ space with his family (even at one point sleeping in Argus’ bed). Argus has always been generous with Ben, and he now fully embraces the swap. Of course, Argus does not consciously “give” his story to Ben so that Ben may take his place. But the story of Basewood does. As readers, we are presented with a man who has no name, no story, and Argus fills that space. Once we get to learn Ben’s story (who is not even allowed to tell it; his wife does), we are already reading it in relation to Argus’. Although Ben is the protagonist, he never really owns his own story. This helps us understand Argus’ behavior and gives significant meaning to his action in the climax. Having entrusted his own story to Ben, Argus sacrifices himself to kill the wolf-dragon not just to ensure his friends’ safety, but so that his own tale might continue. It’s an act that on its own is heroic, but would not resonate as strongly without their shared histories. It’s a full embodiment of the empathy we saw earlier; he identifies with Ben so strongly that his own story can live on only if he dies to make it happen. In Ben, Argus has found a way to ensure that his own story continues where it left off. His identity intact, his dreams can finally be achieved. 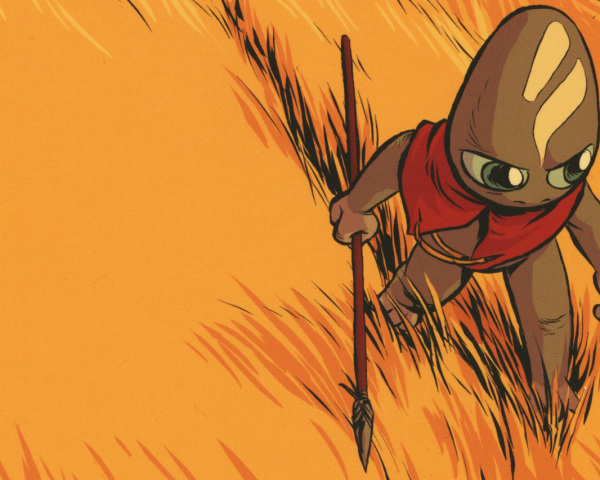 Traversing the vast and intricate world of Evan Dahm's Vattu. 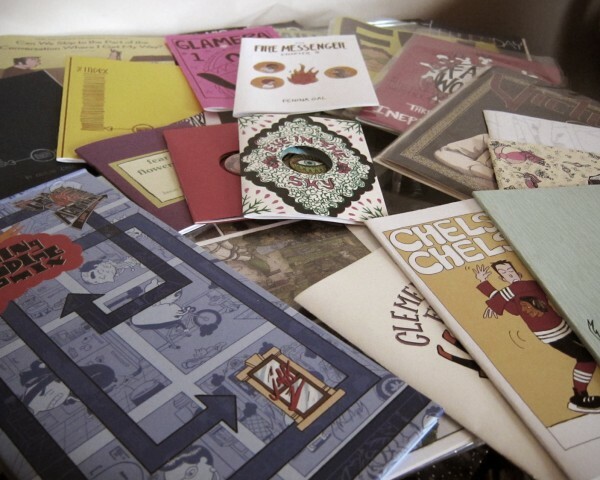 Further reading: Alec Longstreth, fantasy.